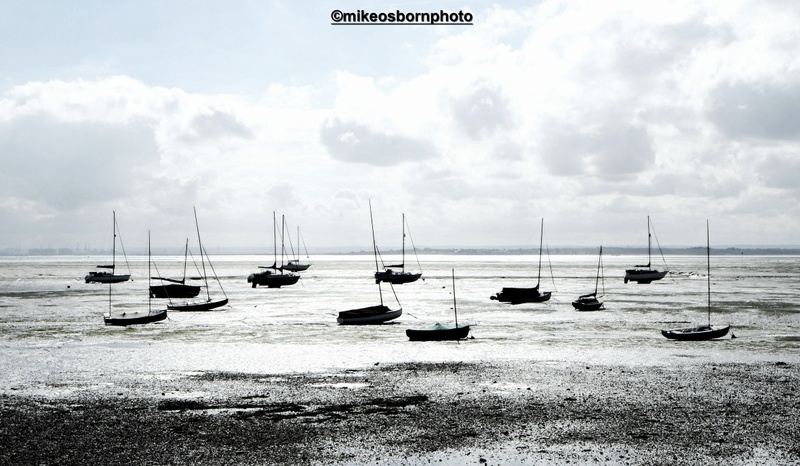 A cluster of boats appear to lie stranded on the mud on the Thames waterfront at Leigh-on-Sea in Essex. It’s a blazing, high key shot taken on an autumn day when the sun veered between hiding behind clouds and blasting through them. This scene is a souvenir of an enjoyable trip outside London and the joys of my home county. Thanks Richard. There’s a lot of this in Essex – it gets a bad press! It has it gawjusness, honestly. The estuary is austere in its beauty, then at the other end of the county are East Anglian chocolate box villages. I should get a job with the tourist authority!